OUTSIDE: garden, private parking, terrace, garden furniture with parasol. EQUIPMENTS: sleeping 3 beds 140, 2 beds 90, highchair, cot. KITCHEN: gas stove gas oven, microwave, barbecue ext. Welcome to our website. "Sainte Marie de Campan in the Hautes-Pyrenees. 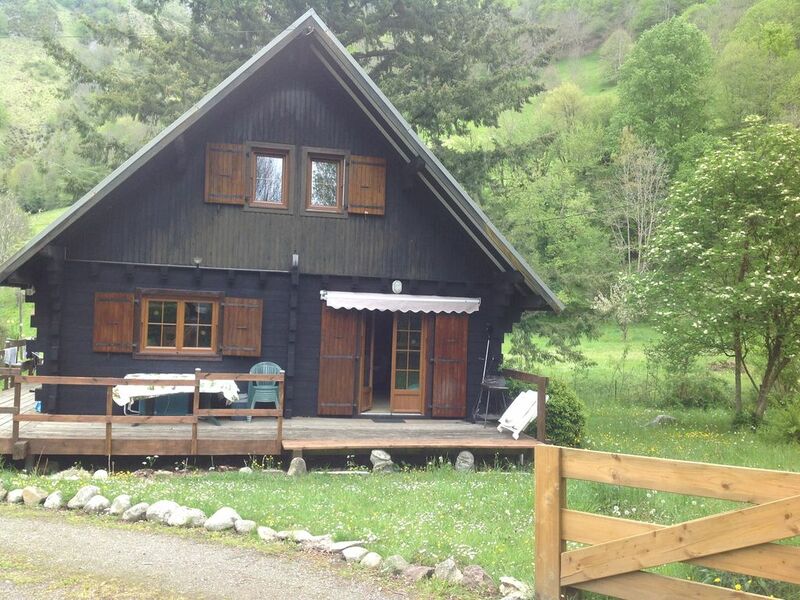 From the chalet you practice climbing, fishing, hiking, V. T.T. discover vultures, vultures, etc. Nearby paragliding, rafting, tree climbing. In winter downhill skiing in La Mongie - Domaine du Tourmalet, cross country skiing and snowshoeing in Payolle. A Bagnères de Bigorre spas, fitness center and Aquensis, leisure center. Tourism with the Pic du Midi, Gavarnie, the Néouvielle massif, Lourdes, the iconic tower of the collar of Aspin and Tourmalet France. In short we are waiting impatiently for you to discover our beautiful valley of Campan - Tourmalet - Payolle for a stay in the mountains throughout the year for your holidays in the Pyrenees. See you soon !